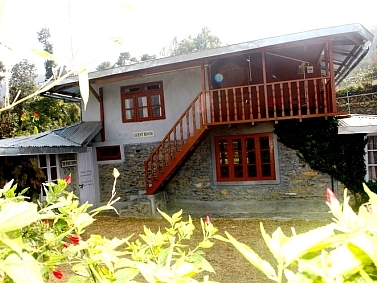 To show case the Samthar Valley, home stays have been set up with philanthropic assistance as part of integrated village tourism project Awake and Shine. The project aims at generating earning for the community, through tourism, and providing quality education at the foundation level. 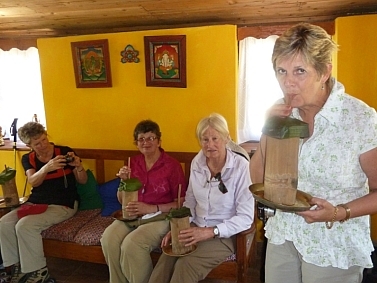 Village home stays are hosted by individual community members Home stay cottages have been donated to members of the local community with philanthropic funding or built by individual owners with philanthropic help from Awake & Shine. All earnings go to the owners. 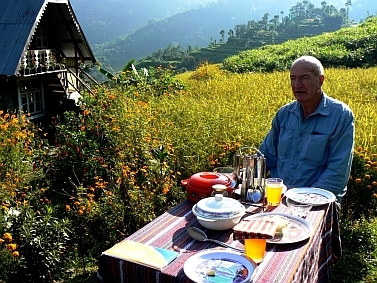 All village homestays have direct views of Mt Khangchenjunga. The accommodation caters for comfortable Double / Twin Guest rooms, with furnishings bed and toilet linen. Attached western style toilets are provided for all. Hot water is available on request. Room heaters are provided in winter at extra cost. 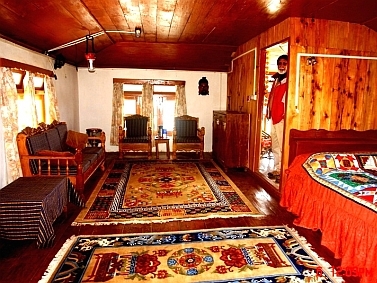 Extra beds can be arranged for children. Guests are served on a table set with crockery, cutlery, and table linen. 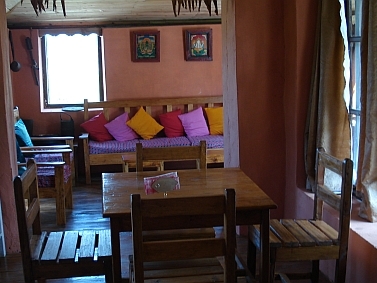 They can also choose a traditional floor sitting service, served in traditional utencils / leaves The cuisine provides for either western or Indian style breakfasts with Indian, Nepali, Chinese and Lepcha dishes, for lunch and dinner. Food is home cooked. Local products are used to the maximum extent. Chicken or pork is served for dinner. Lunch is vegetarian.